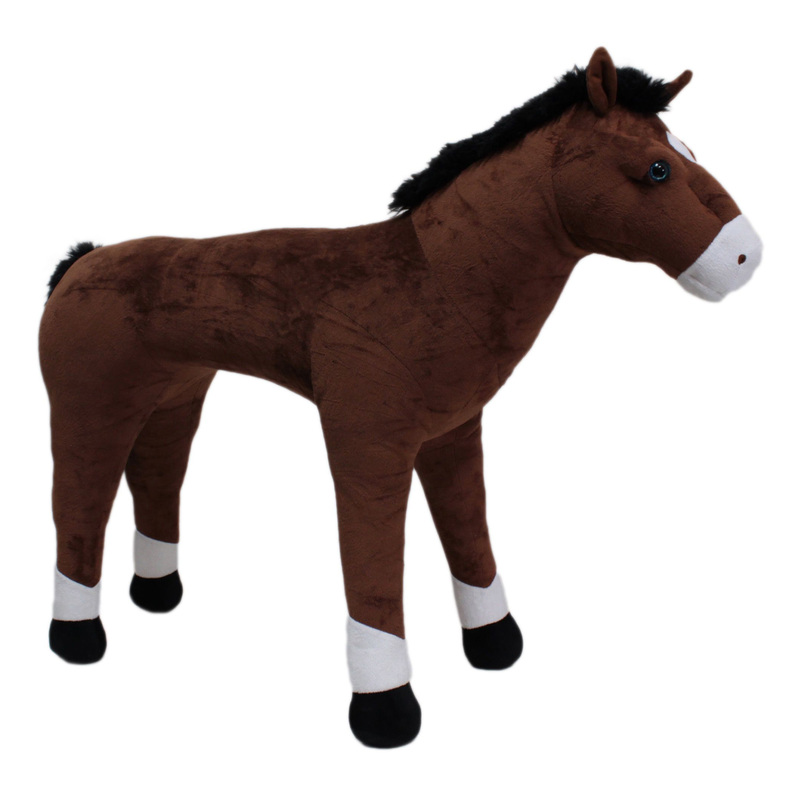 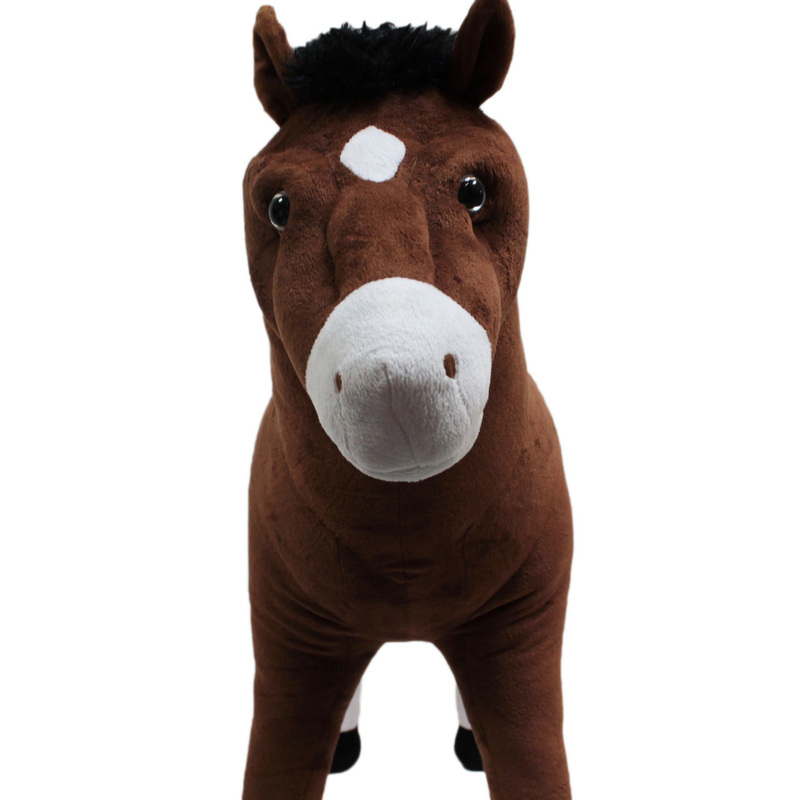 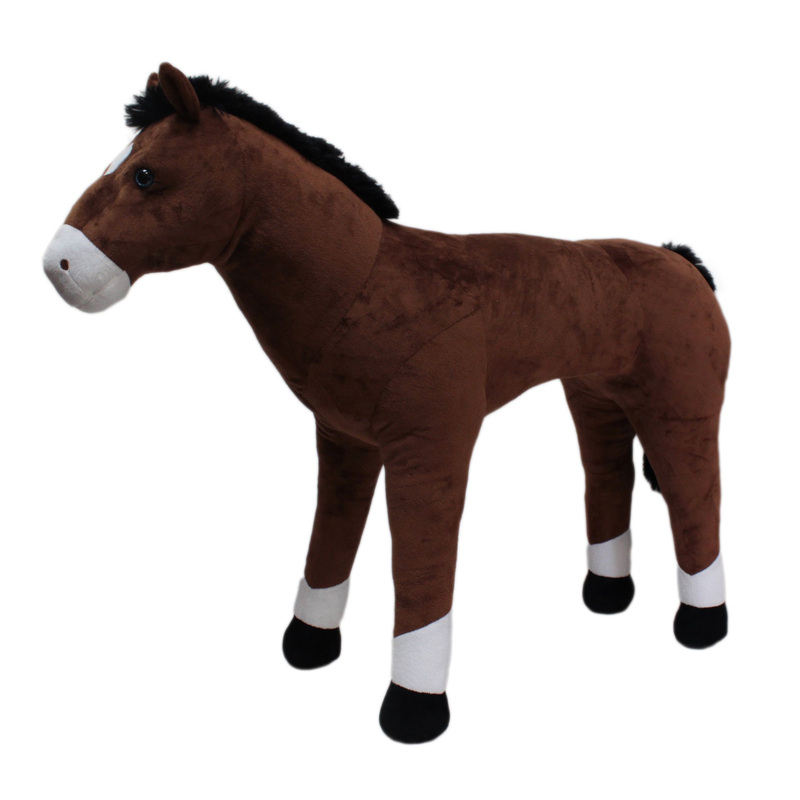 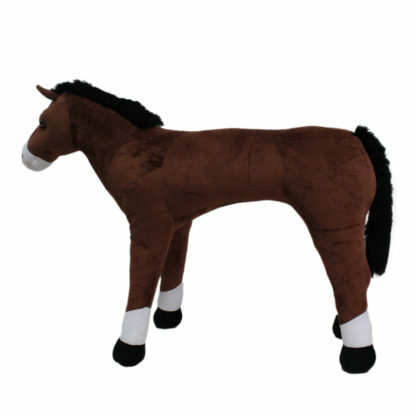 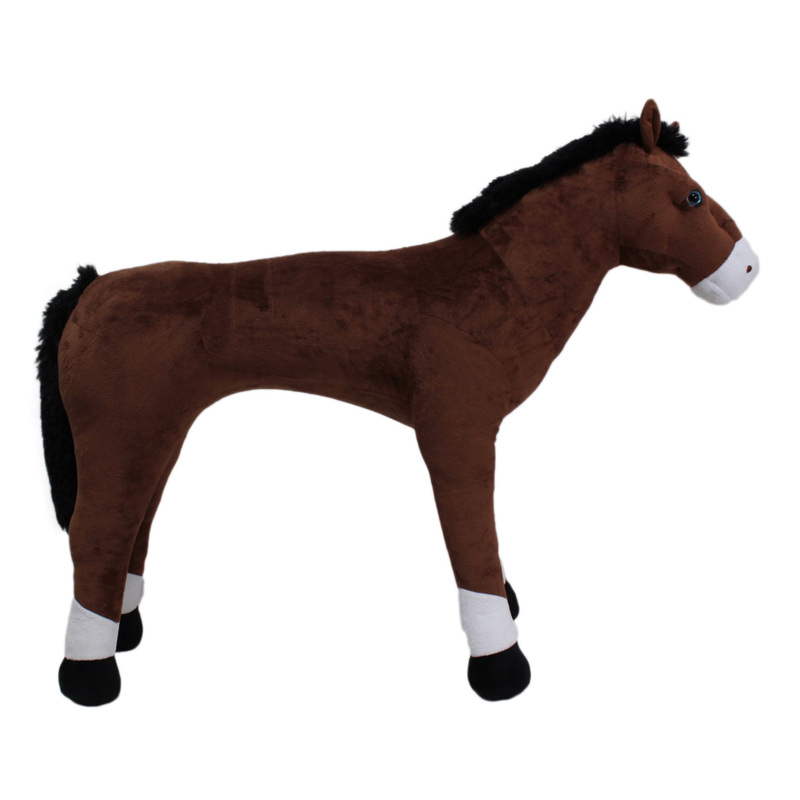 Rockin’ Rider Ranger Standing Horse is your cuddly horse friend! Rockin’ Rider Ranger Standing Horse stands 32 inches tall! He is a standing horse that makes a great decoration and playmate for your child – Ranger is not intended to be sat on. 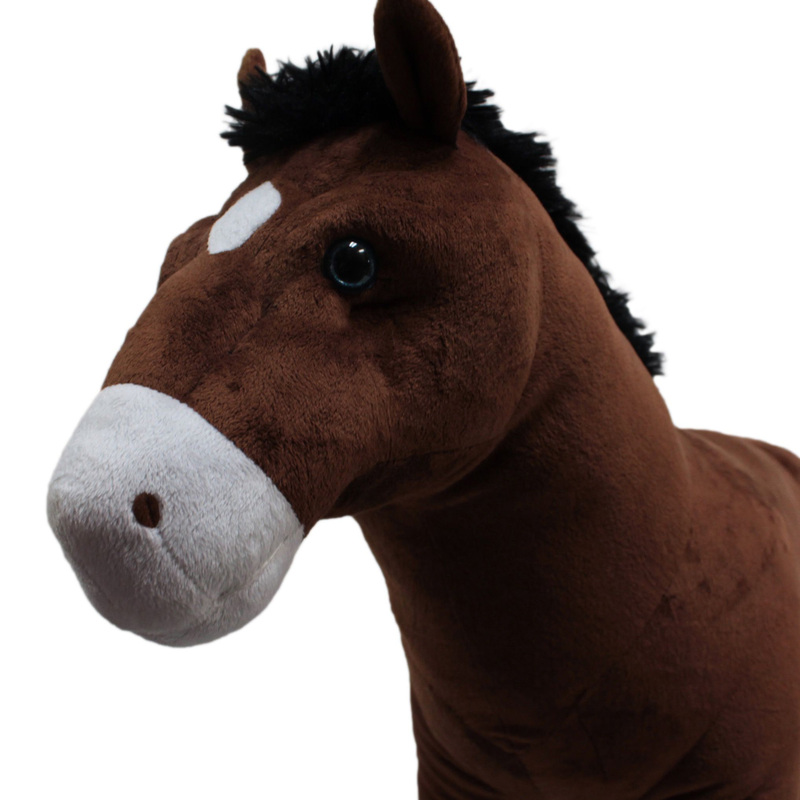 Ranger sings the exclusive “I’m a Little Pony” song when his left ear is squeezed and says 6 fun talking phrases with sound effects when his right ear is squeezed. The soft and huggable plush is preferred by both Moms and Kids. 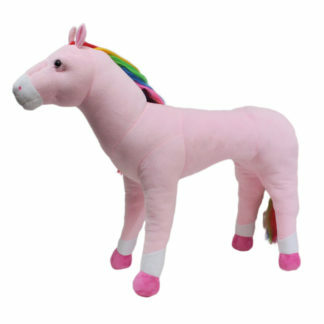 Other features include soft mane and tail, and glittery eyes. Requires 2 AA batteries included. Ranger is recommended for ages 3 years and up.